Why do some roti canai taste better than others? Here is the deepest secret of making the best roti canai (roti prata) nobody knows, revealed to you for the very first time. If you have children or a spouse who do not like to eat home cook food, then this video can be very helpful to persuade them to eat at home. Nasi Kerabu has been found to have anticarcinogen by Israeli researchers at Ben Gurion University of the Negev in Israel. Anticarcinogen is anticancer properties which reduces the occurrence of cancers. Specifically, Cymbopogon, a main component that gives Nasi Kerabu its unique taste, was linked to cancer cell apoptosis (a type of cell death in which the cell uses specialized cellular machinery to kill itself) while leaving healthy cells alone. These brilliant Jewish scientists at Ben Gurion University added a certain amount of citral found in one gram of Cymbopogon (usually eaten raw with Nasi Kerabu) to petri dishes with cancerous and healthy cells. The healthy cells were unharmed while the cancerous cells died. How is the Cymbopogon taken by cancer patients? In Israel, Israeli doctors recommend 8 glasses of Cymbopogon juice on the days cancer patients were treated with radiation and chemotherapy. 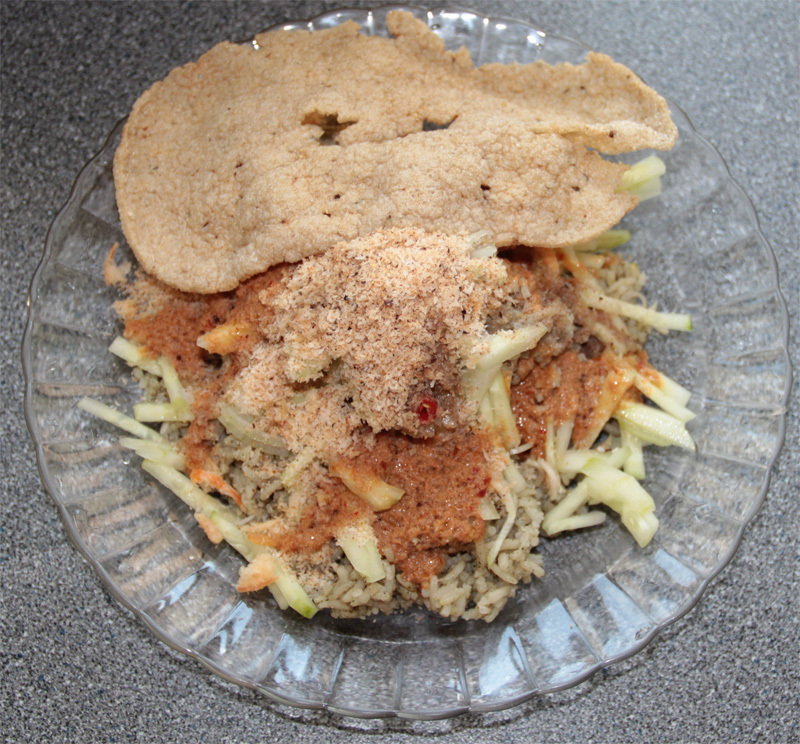 Another way is to eat the Cymbopogon raw with Nasi Kerabu. Anticarcinoma agents in Nasi Kerabu that do not have negative side effects participate in the selective destruction of cancer cells, or inhibit the growth and proliferation of cancer cells. Preventative anticarcinogens in Nasi Kerabu act by enhancing cell’s natural defenses against cancer, by deactivating carcinogens or by blocking the mechanisms by which carcinogens act. What is Cymbopogon? Cymbopogon is the scientific name for lemongrass. The Malays called Cymbopogon serai. If you can’t stand the taste of lemongrass, then you should eat it with Nasi Kerabu as that is the best way to eat it raw. 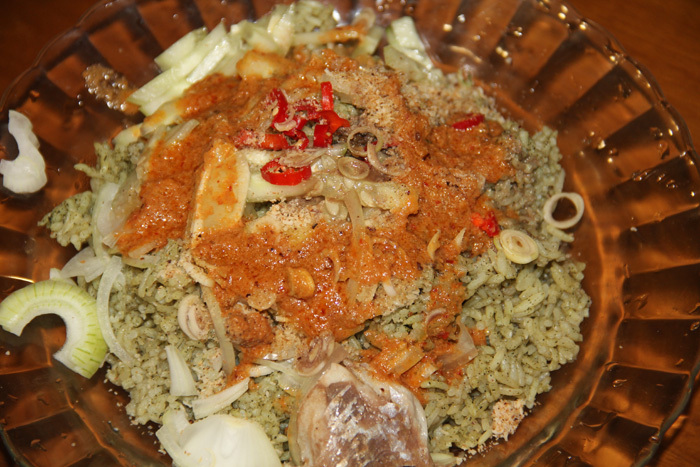 Cymbopogon in Nasi Kerabu can also cure ulcer and acne. An apple a day can keep the doctor away. 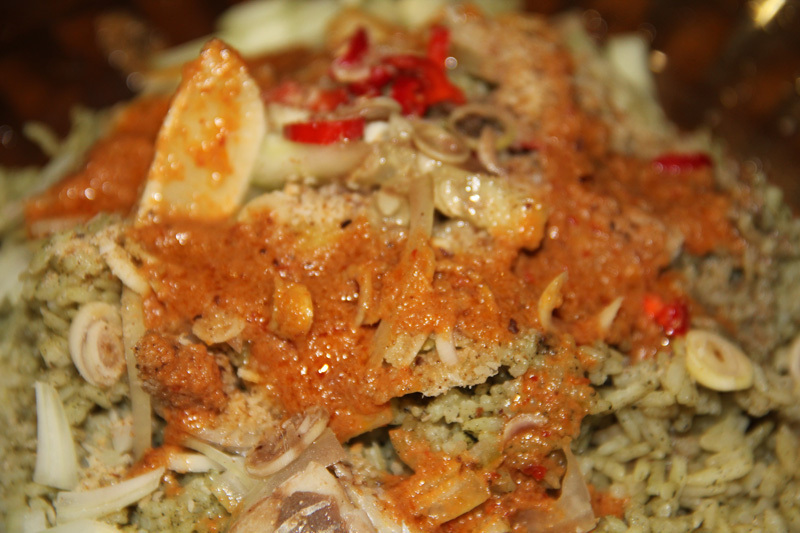 A plate of Nasi Kerabu a day can reduce the occurrence of cancer, ulcer, and acne. It is a well known fact that vegetarian diet helps fight cancer, but this new discovery by highly intelligent Israeli scientists suggests that Nasi Kerabu may protect us from cancer in a far more effective way than any other vegetarian diet.